The modest price gains seen in Toronto and Vancouver in August are a “sign of things to come,” RBC senior economist Robert Hogue wrote in a client note. After year-on-year declines for much of 2018, home sales in Toronto started rising again this summer. 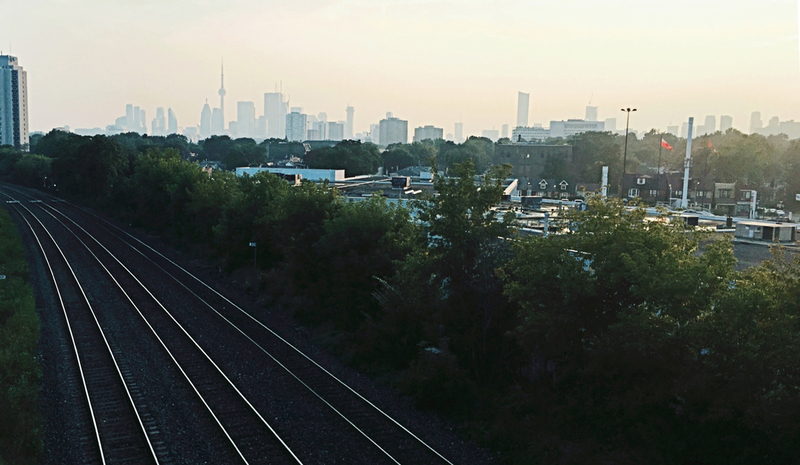 They were up 8.5 per cent in August, compared to the same month a year earlier, according to statistics released last week by the Toronto Real Estate Board. After some downward pressure, prices appear to have stabilized. The average selling price for all housing types in Greater Toronto sat at $765,270 in August, up 4.7 per cent in a year. “Area buyers hoping that last year’s Fair Housing Plan and this year’s stress test would bring about big price breaks will be disappointed,” Hogue wrote. While that may be welcome news to homeowners worrying that the growth in the value of their homes has come to a standstill, it’s a disappointment to the half of Toronto residents who — in a recent Angus Reid poll — said they’d like to see house prices fall. More than a quarter said they’d like to see an outright price crash, of 30 per cent or more. A majority of renters said they are considering leaving the citybecause of housing costs. That’s a sign of the frustration potential homebuyers are feeling in a market where house prices have long grown faster than incomes. Canada Mortgage and Housing Corp. reported a surprise decline in the number of new homes starting construction in August. The annualized rate of construction fell to just under 201,000 housing units, down from nearly 206,000 in July, according to data released Tuesday. Economists had been predicting a pick-up to around 210,000. The largest pull-back was in Ontario, while British Columbia has seen a mild rebound, though construction is still below the frenzied pace of 2016 or 2017. Economists expressed mixed views on the construction slowdown, with some saying the pace of construction is just returning to more sustainable levels from excessive heights. “Despite two monthly declines, robust levels of residential construction continue in Canada, with a 27-year high for population growth supporting the strength,” Bank of Montreal senior economist Robert Kavcic wrote in a client note. But CIBC economist Royce Mendes suggested we can expect to see a somewhat slower housing market ahead. “A more sluggish pace to homebuilding is in line with our expectation that higher interest rates and tighter lending standards turn this former stalwart of growth into a drag on the economy,” Mendes wrote in a client note Tuesday. The Canadian real estate market got off to a good start this year with house prices rising in January, as Toronto saw its first gain in six months, according to a bank measurement. The Teranet-National Bank composite house price index, rose 0.3 per cent last month from December and gained 8.7 per cent in January from a year ago. That’s up from a 0.2 per cent monthly gain in December, but down from the 9.1 per cent yearly rise that month. The index measures changes in resales of single-family homes, and each month’s reading is a rolling three-month average to smooth out monthly fluctuations in price. While the national gauge rose for the second time since a monthly decline in November, only four of the 11 major cities measured on the index saw price increases last month. Toronto was one of them — rising 0.2 per cent from December — marking its first gain since the middle of last year. “This firming of home prices in Toronto might reflect a rush to buy with pre-approved mortgages granted before more stringent rules on qualification for uninsured mortgages were applied starting Jan. 1,” he said. Further increases to mortgage rates could still impact prices in the city, he added. 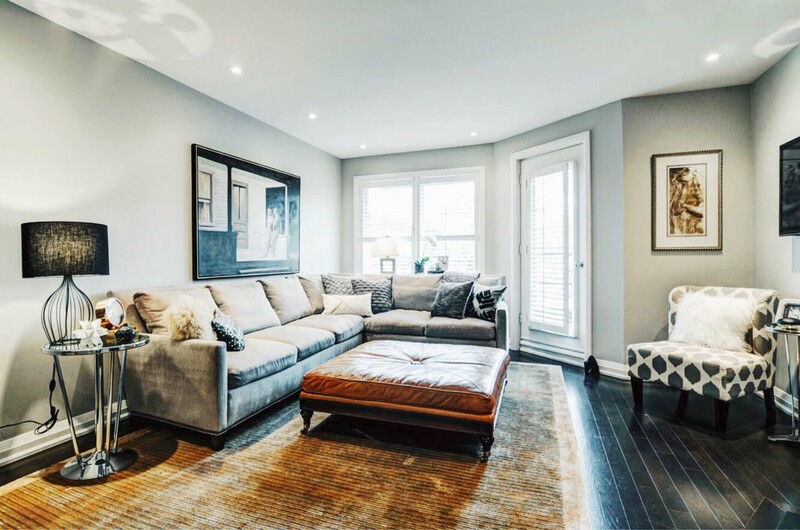 Toronto’s housing market pulled back last year after Ontario implemented a series of measures such as restricting foreign buyers to cool the once red-hot market. 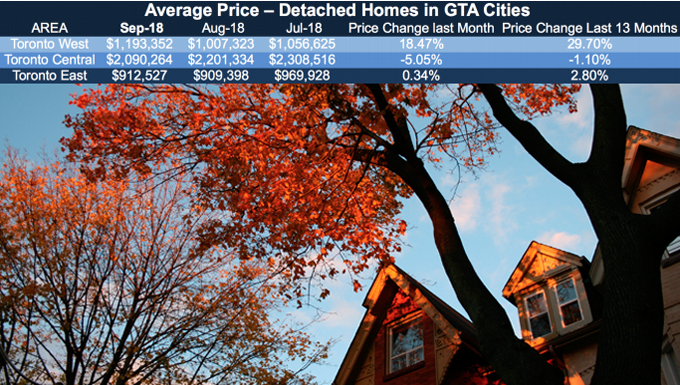 Last week, data from the Toronto Real Estate Board showed the average selling price of a detached home in Toronto fell almost four per cent in January from a year ago. The National Bank index reading of an 8.4 per cent gain in Toronto from a year ago is still below the national average. 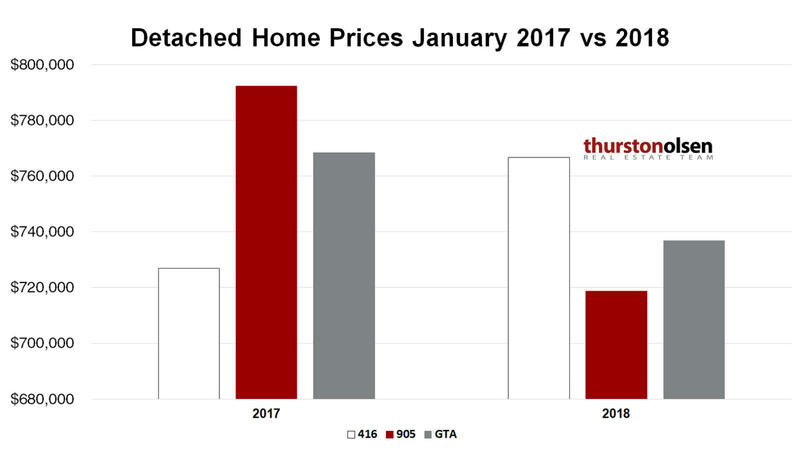 The Toronto Real Estate Board expects fewer home sales this year compared with 2017, but the average selling price to climb. The board is forecasting total sales between 85,000 and 95,000 in 2018. It says the midpoint of the range suggests total annual sales slightly lower than 2017 when there were 92,394 sales reported through the board’s MLS system. 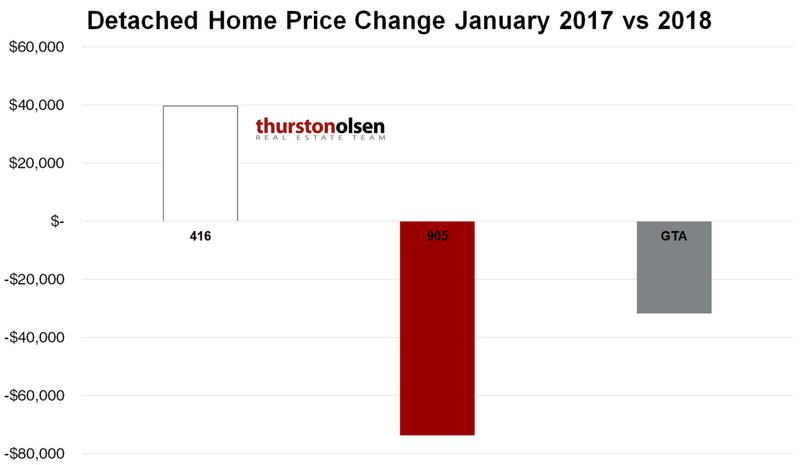 Meanwhile, the forecast range for the average selling price in 2018 is between $800,000 and $850,000 with the midpoint suggesting a slight increase in the average selling price this year compared with $822,681 in 2017. Toronto home sales started last year on a hot streak, but slowed after the Ontario government introduced several measures to cool the market. 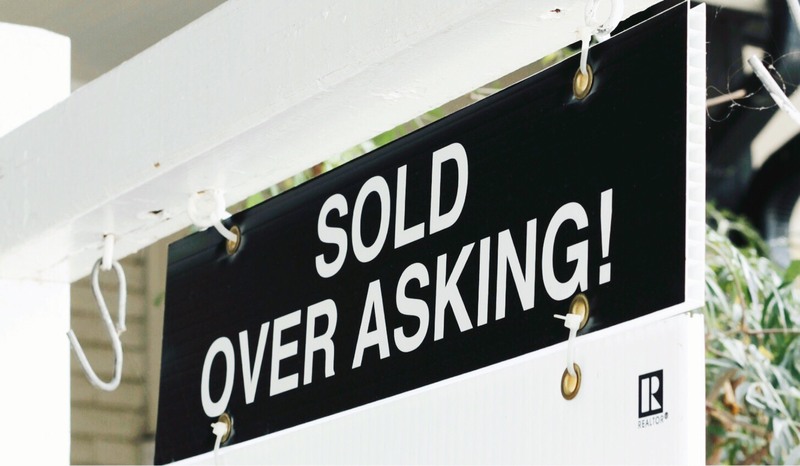 The real estate board says it expects year-over-year declines in transactions will be more pronounced in the first four months of this year, but sales are expected to be up compared with last year through the late spring and summer. 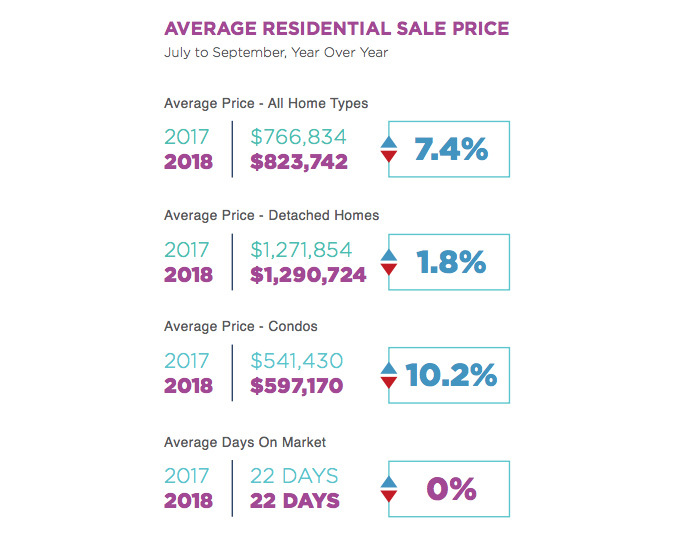 All stats from Toronto Real Estate Board. Is now the time to lock in your mortgage? Here’s what to look for when it comes to debt and saving. Consumers who locked in their mortgage last fall or summer might be feeling smug following Wednesday’s increase in flexible loan rates. But for first-time buyers and home owners looking to renew there is nowhere to hide from a rising interest rate environment. The big Canadian banks increased their fixed-rate mortgages to 5.14 per cent from 4.99 per cent last week, even before the Bank of Canada announced the quarter per cent increase that triggered the rise in variable loan costs. “The fact is, (people) have been incredibly lucky in terms of mortgage rates for the last eight years,” said Laurence Booth, professor of finance at the University of Toronto’s Rotman School of Management. He reminds his students of his own experience, which included a variable rate mortgage of 24 per cent in 1981, during a period of volatile interest rates. “We’re definitely in an increasing interest rate environment. We’ve seen that with the three Bank of Canada hikes over the last year,” he said. More increases to the benchmark rate, which stands at 1.25 per cent, are expected this year. But Booth said the central bank is moving carefully because, while Canadians seldom default on their mortgages, it doesn’t want to drag down the overall economy by reducing Canadians’ spending on groceries and other consumer goods to meet those home payments. “There’s no intelligent way to beat the system,” says mortgage broker James Laird, a co-founder of the Ratehub.ca. It put the cost of the quarter of a percentage point increase in the bank rate this week at an additional $52 a month or $624 per year for someone holding a $400,000, 5-year variable rate loan amortized over 25 years. “Variable rates are now up by a quarter of a point. Fixed rates have all adjusted to the current market,” he said. That brings consumers back to the “classic variable-versus-fixed-rate decision.” In other words: Is now the time to lock in? Laird said he believes that variable rate loans tend to be cheaper in the long run. But he acknowledged the increased risk makes that a highly individual decision. “It’s only appropriate for a household to take a variable rate if they have a lot of wiggle room in their finances. If the rate moves 3/4 of a point and beyond — let’s say something unforeseen happens and rates rise quicker than anyone is expecting — they should be able to handle that risk,” said Laird, president of Canwise Financial. “Any household that is tighter for cash — typically the first-time home buyer — we try to influence them towards a fixed rate. Yes, it’s going to cost a little bit more off the bat but we do know they can afford it and that is locked in, usually for five years,” he said. New stress testing launched by the Office of the Superintendent of Financial Institutions means most borrowers already have to qualify at higher than the posted rates — either the 5-year benchmark rate or 2 per cent above the mortgage rate they qualify for, whichever is higher. But Laird says consumers need to remember that interest rates historically have far exceeded today’s relatively low numbers — even if you add another 2 per cent. The good news is that savers should start to see more for their money, he said, citing a 0.35 per cent increase in Tangerine’s 5-year GIC rate. He doesn’t expect the central rate to rise again in March, but he thinks there will be at least one more increase this year based on the language in Wednesday’s announcement. The bank acknowledged that the uncertainty around the North American Free Trade Agreement clouds an otherwise robust economy, including the high employment and economic factors such as high employment and near-target inflation that prompted this week’s increase. The Bank of Canada’s overnight rate is the basis for flexible mortgages. But fixed-rate loans are based on the five-year government bond rate, said Booth. It’s big and it’s real — condo buyers’ and residents’ fear of escalating monthly maintenance fees. But a study by Condos.ca shows condo fees in Toronto rose only 2.5 per cent last year over 2016. The average maintenance cost on a 594 sq. ft., one-bedroom apartment was $386.60. That compares to an annual increase in both 2016 and 2015 of about 4 per cent. Condos.ca found that the average fee among 984 buildings last year was 65 cents per sq. ft. That equates to $628.02 a month on a 956 sq. ft. two-bedroom unit and $881.20 a month on a 1,354 sq. ft., three-bedroom apartment. Those averages don’t include parking or storage lockers, which would up the monthly cost by $46.22 and $15.15 a month, respectively, says the study. Buildings that included water, heat, hydro and air conditioning in their fees averaged 69 cents per sq. ft. Those without the utilities had a 37 cents per sq. ft. average fee. “If you’re paying for these elements separately, the total monthly costs could be much higher than if they were included in the maintenance fees,” says the report. It doesn’t reduce the dread he hears every day from buyers who don’t want to pay that monthly fee. “After your mortgage, it’s typically your next biggest expense. It’s a big issue,” he said. But it doesn’t need to be scary. 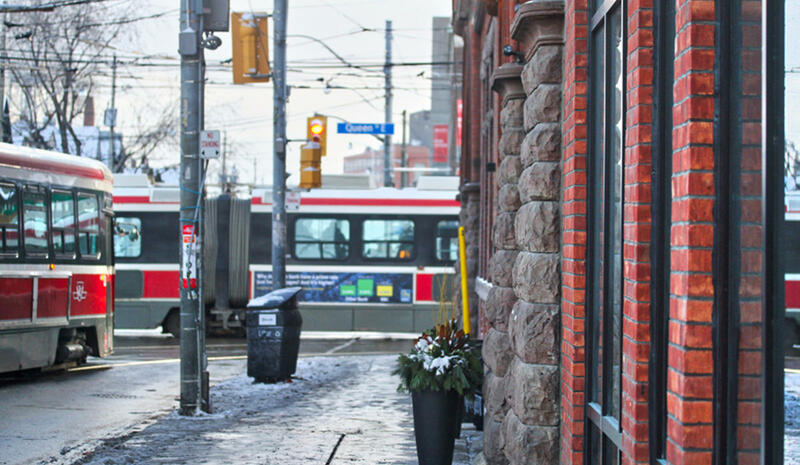 “When done right (the fees) are definitely an important part of a healthy condo building. They’re an important part of ensuring your asset is going to grow in value in time,” said Harrild. “There are some great buildings out there that have been around for 20 or 30 years and still have maintenance fees under control,” he said. The maintenance costs should rise annually at about the rate of inflation, but they should also reflect the true cost of operating and maintaining a building. A lot of buyers look for lower maintenance fees so they can allocate more of their budget to their mortgage. But in some cases the cost of a unit may be discounted because the maintenance fees are higher. “Buildings with higher maintenance fees don’t often sell for the same price per square foot. You have to do the math,” said Harrild. The average price of a new construction condo in the Toronto area last year rose 42.6 per cent to $702,992, from $493,137 at the end of 2016, according to the Building Industry and Land Development Association (BILD). The province also introduced new rules last year that require condo board members to take online training in areas such as avoiding conflicts of interest in purchasing decisions. Ontario also launched a new online tribunal to deal with condo disputes and new rules around mandatory meeting notices, voting and disclosures. Those changes were expected to add $12 a year to the fees per condo unit, the government said in July. Harrild advises buyers to always bear in mind the true cost of operating the building. Good condo managers will make sure the reserve is healthy enough to fund major repairs so that residents aren’t hit with expensive special assessments down the line. 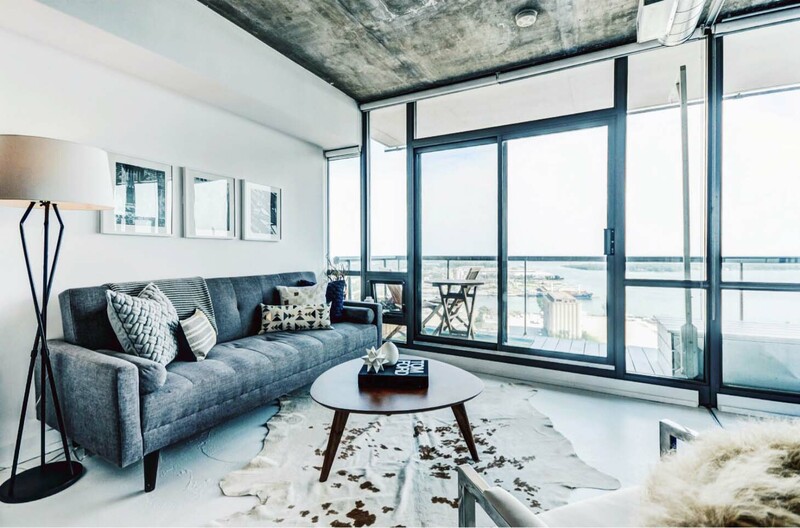 Sometimes condo boards will opt for higher fees for the first few years of a building’s life to build up a healthy reserve fund and then they will be able to reduce the costs for unit owners. The Toy Factory Lofts decreased fees 30 per cent between 2011 and 2012. Success Tower, reduced its fees 13 per cent from 2015 to 2016 and Minto 775 saw a drop of 19 per cent between 2015 and 2017. At the Toy Factory, the board went through every line of the budget and cut costs wherever possible, right down to more energy efficient lighting and lowering the thermostat a couple of degrees in common areas where possible, said Harrild. Size of building can matter too, when it comes to condo fees. If two buildings have a similar footprint, repairing the roof will likely cost about the same whether one has 40 or 14 storeys. But the cost of repairing and maintaining common elements indoors can be distributed among more residents if there are more units. At the same time, those common features are probably going to experience more wear and tear in a bigger building simply because more people are using them. The Toronto Real Estate Board says home sales in the Greater Toronto Area fell 18.3 per cent last year compared with a record pace set in 2016. There were 92,394 sales through its MLS system in 2017, down from 113,040 in the previous year. The board says there were record sales in the first quarter of last year, followed by a decline in the middle two quarters before sales picked up in the last three months of the year. The average selling price for 2017 was $822,681, up 12.7 per cent compared with 2016. The board says sales in December totaled 4,930, down from 5,305 in the final month of 2016. The average price for the last month of 2017 was $735,021, up from $730,125 a year earlier.